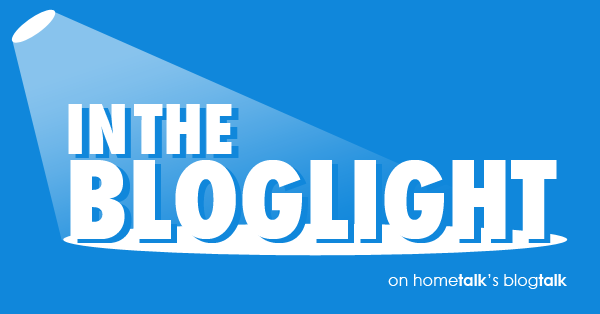 I was recently selected to be in the “bloglight” by Hometalk (a community of DIYers and bloggers) and was asked to answer a few questions about myself and blogging. Obviously, I was honored and said “yes!” So, in case you had some questions, maybe I’ll answer them here. If not, go ahead and ask some more! Still can’t get enough? Follow me on Facebook, Pinterest, G+, and Hometalk. Probably the thing you should know about me first, is my name. It’s really Jocelyn, but I have always gone by Jocie, pronounced “Jah-cee.” I am often mistakenly called Josie (like the pussycats)…that’s not me! lol. Thanks to my friend, Ruth for this fabulous headshot…hard to believe I my kids were right behind me running around like maniacs! Indirectly! In 2008, Ethan (the hubs) and his BFF, Fred decided to start a DIY/home improvement site that was geared largely towards men. They called it One Project Closer, since it seems like we’re always just one project closer to the home we want (and sometimes one project further, haha). Technically, the wives (me and Fred’s wife, Kim) were a part of the blog, but worked more behind the scenes, assisting in projects and enduring never-ending blog talk. What was the first project you ever posted about? I’m not exactly sure since it was a gradual process for me, but I think it was when I made fabric wall hangings for my daughter’s nursery before she was born. It got virtually no traffic or attention (besides from John and Sherry, who were new to blogging like us). About a year and a half ago, we realized that as I was posting more and more on One Project Closer about the softer side of DIY, and it was confusing our male and female audiences. Men would come looking for hard-core projects and find how to make chalk paint, so they would leave. Women would come looking for decor and find how to lay hardwood floors, and they would leave. We couldn’t win! So The Better Half split off, and that’s how we came up with the name. 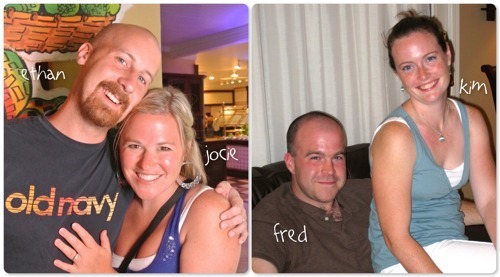 Me and Kim (also my BFF) are the better halves of Ethan and Fred…plus, I like to be cocky and brag that we’re better anyway! Lol. You may not see Kim and Fred around much because they are kind enough to do a lot of not-so-fun behind the scenes work, while raising five kids. Fred is our programming guru and also does tool reviews. While, Kim keeps our fabulous DIY discounts up-to-date, like this coupon for Home Depot. Kim also loves to garden and tries to post about that, as she has time. I love anything decor-oriented DIY! The idea of taking something ugly and turning it fabulous in an unexpected way is what I get excited about. Most of my own posts are driven by my own designing or family needs – sometimes I write about how I’m decorating my house or painting pallets, but I also may write about my daughters’ birthday parties or homemade barrettes. Here are a few of my favorite and most popular projects. The most popular Hometalk post/project was a joint effort with the hubs – a DIY spice rack. This area of the kitchen is probably my favorite nook of the house. My most recent big project has been our dining room. The quickest project and maybe cheapest was my plastic plate wall! I love the color it adds to the room! 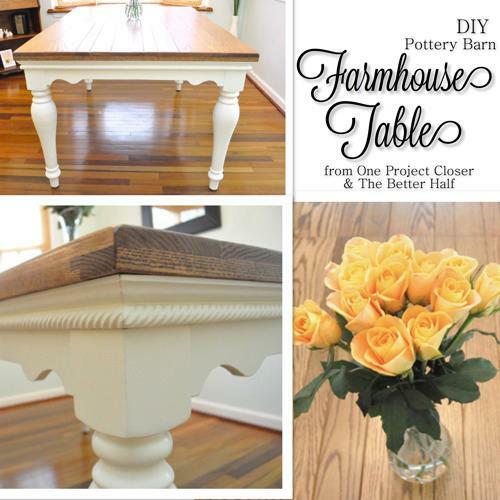 Another collaboration with Ethan was our Farmhouse Table – a Pottery Barn Knock-off. We built it for 1/4 the price and using an old, ugly existing table. Plus, it extends! It’s not the most glamorous post, but by far, the post that gets the most traffic is my tutorial for making fabric flowers. It currently has over 100,000 pins and keeps growing! woot woot. What are your favorite home & garden/DIY websites or blogs that you look to for inspiration? All my favorite blogs are run by ladies who are sweet, down-to-earth, and really inspiring in different ways. Naptime Decorator – DIY decor and my in-real-life bloggy BFF. Liz lives 5 minutes away! the DIY village – Matt and Jacque are another fabulous bloggy couple who love the big projects. DIY Show-Off – Who doesn’t love Roeshel? Enough said. Shaken Together – I get my crafting inspiration from Keri, for sure! 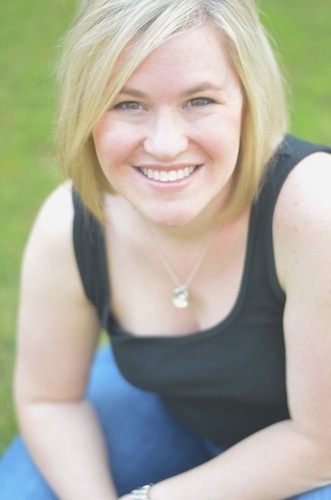 Mom 4 Real – Creative DIY and recipes from Jessica, plus she is now a personal assistant for bloggers! woot woot. What you may not know about OPC and The Better Half…. Did you know that OPC and The Better Half give away free stuff all the time? I mean, ALL THE TIME! 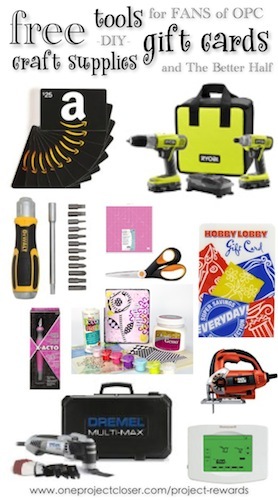 In our Reader Rewards Program you can bid on all sorts of awesome stuff, like Hobby Lobby Gift Cards, tools, craft supplies, and more, just by commenting on posts and visiting our site (either OPC or The Better Half). It’s all free to you and there’s no catch! Find out more by visiting our Rewards Center. What do you think? Who are your DIY inspirations? As Always, thanks for reading and hearing me about me! Very informative evenmfor your mother! Fred and Kim have 5 kids! That was new info for me. Congrats on being featured. That is so cool that you were featured! Awesome job! Congratulations Jocie! A well deserved honor. Congratulations girly! And wow thank you so much for sharing the love our way! I think one of my favorite projects is the plate wall … glass plates on a wall scare the crap out of me! WOO HOO – Jocie!! What a great honor – your plate wall is one of my favorite posts ever! And I am SO stoked to see a little shaken together love – you are the best girl!! Holla, holla! 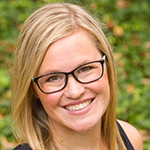 Congrats on being in the Bloglight, Jocie! You totally inspire me, girl! Loved this post and getting to know more about you and how your blog came about!! You are fantastic and so deserving! That was really interesting! Loved reading all about you and the blog! I’m glad that now I know how to pronounce your name! Thank you for sharing a bit of yourself with us…loved reading about you! Loved hearing about how you started and morphed! I got to know you guys via one of your Habitat for Humanity summer reno contests. It was such a boost the way you guys highlighted those features! Forever grateful for that! Thanks for all the cool stuff you guys continue to do! Thanks so much Donna – You are too sweet! Stay tuned because this summer will be our 6th annual Before and After series supporting Habitat! woot woot! I love your blog(s) and it was great to hear the stories behind them. Great feature and congrats! So glad to ‘meet’ you this way! Fantastic blog, too. Your reader reward program sounds great, what a creative way to reward your loyal readers. So happy to have seen you in the Bloglight! Congratulations again! I enjoyed reading how you started your blog and your favorite posts too! 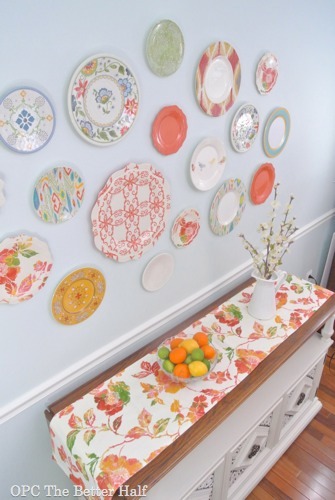 LOVE that plastic plate wall! Perfect if you have little ones.You don’t have to worry about one breaking and it is so colorful! Excellent Bloglight! Love your blog and love you, lady! So glad to have met you this year!